T/Superintendent Nicola Musgrove; Alan Simpson, Community Alcohol Partnerships Officer; Coun Liz Simpson; Coun Kath Nisbet, Derek Lewis, chair of Community Alcohol Partnerships; and Nitin Shukla, Office of the Police & Crime Commissioner for Northumbria. A new partnership has been launched to tackle under-age drinking in Blyth. The Blyth Community Alcohol Partnership (CAP) brings together a range of organisations to tackle the problem of underage drinking and associated anti-social behaviour. It is made up of Safer Northumberland, Northumbria Police, Office of the Police and Crime Commissioner, local retailers and licensees, councillors, health services, housing providers and schools. The aim is to address the problem of underage drinking though educating young people about the dangers of alcohol. The initiative places less emphasis on enforcement and more on education and support. The partnership aims to protect young people and to make them aware of the risks to them of drinking alcohol how it can make them vulnerable to committing anti-social behaviour and also to becoming a victim of crime themselves, while drunk. Sergeant Jonathan Bensley, from Blyth Neighbourhood Team, said: “It’s well known that youth disorder is fuelled by alcohol and underage drinking and it is this sort of behaviour that can causes concerns for our communities. “The CAP emphasises the importance of a long-term commitment to educating young people and those adults who buy them alcohol. “We want to reassure members of the public that we have listened to their concerns and have taken action in relation to their feedback. 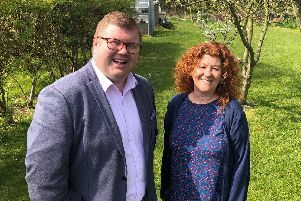 Northumbria Police and Crime Commissioner, Vera Baird, said: “This activity demonstrates that our officers are listening to the concerns of local people and are working closely with partners to protect the vulnerable and tackle anti-social behaviour head on. The initiative is being coordinated under the Safer Northumberland partnership, with key input from Northumbria Police and the council’s public protection service. County Councillor Liz Simpson, Chair of Safer Northumberland, said: “This is a great example of how by pooling resources, agencies can take a more co-ordinated approach to tackling alcohol-related issues. “As well as taking enforcement, it is important we educate and protect young people from the dangers of alcohol.